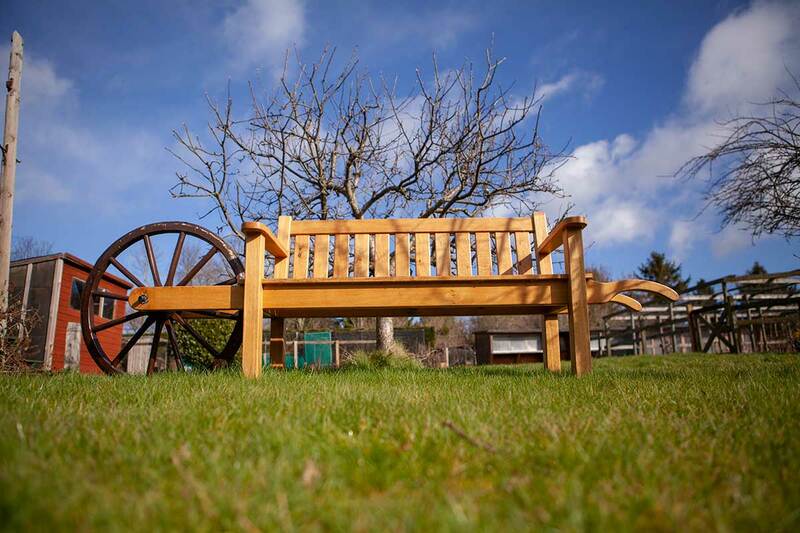 An oak wheelbarrow bench, Hexham. 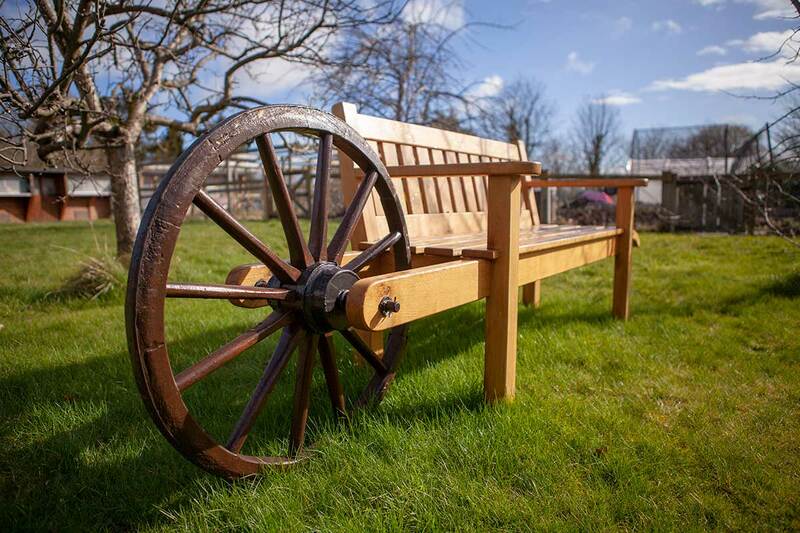 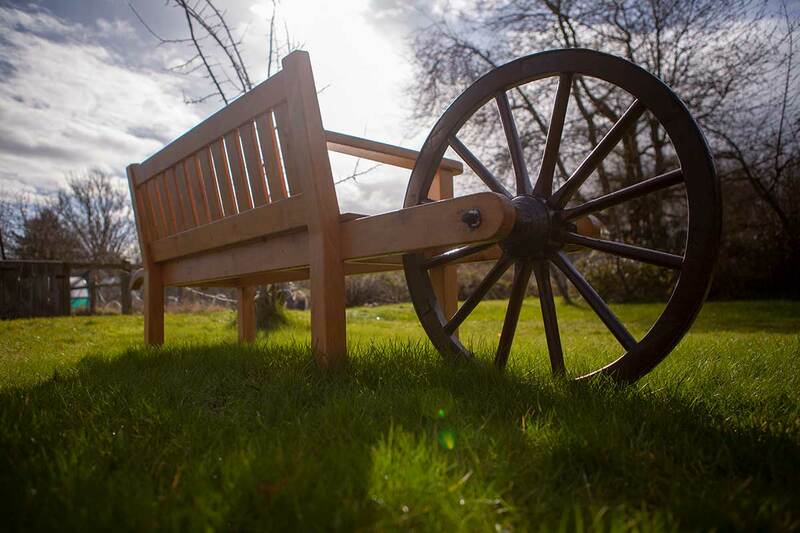 This quirky bench makes it easy to move around the garden and catch the best of the sunshine. 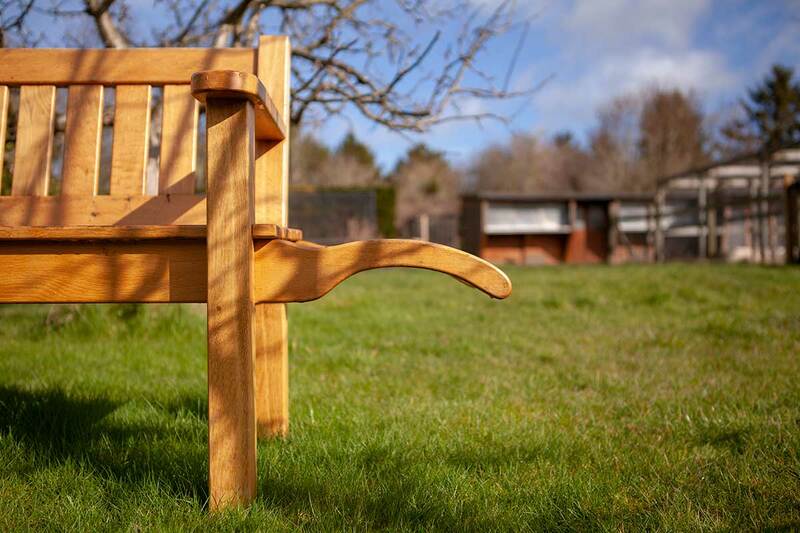 A hard wearing oil protects it from the elements.